Use the Arrow Keys or WSAD to move the black character around. The white character will move accordingly in the opposite direction. The objective is to have the black and white character meet together. 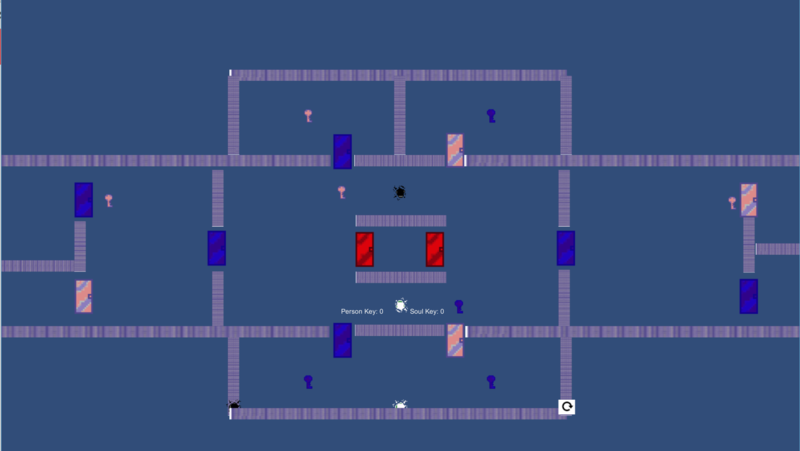 The pink color keys can only be picked up by the black character, while the blue keys can only be picked up by the white character. The red keys can be picked by either character. 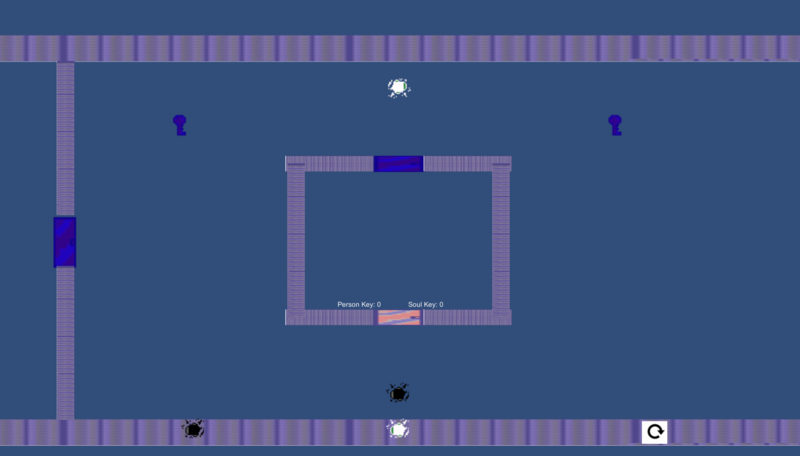 The respective color keys are used to unlock the respective color doors. Both character must move together, if one of the character meets an obstacle and cannot move in that direction, the other character is not allowed to move either. This game is about getting the black and white characters close enough to each other to complete the stage. Through the stages, you will also find yourself being so close yet so far from the objective.